The proposed Neighborhood Forest Overlay would allow homeowners to form a zoning district that could prevent wooded lots from being clear cut. Photos courtesy of Steve Houser. Update April 12, 2019: The ordinance passed unanimously by Dallas City Council on April 10. Up for a vote most likely this week by Dallas City Council, the Neighborhood Forest Overlay is a stand-alone ordinance that would set the framework for 10 or more homeowners in an area to band together and form an overlay zoning district for the sole purpose of creating a tree preservation and management strategy for the neighborhood. Phil Erwin, chief arborist for the city of Dallas, is the primary author of the ordinance, alongside other staff from Current Planning in Sustainable Development and Construction. 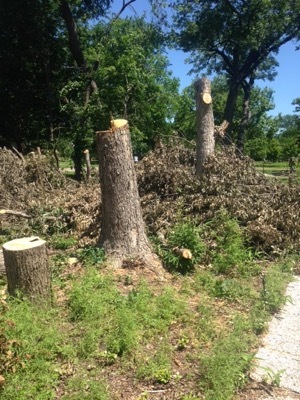 Erwin said the concept was derived from the desire to provide more control over the tree removal process in neighborhoods that could not be granted through Article X, the city’s 2018 tree and landscape ordinance. The current law allows for homeowners to seek historic tree designation for trees of cultural or historice significance in their yards. The Neighborhood Forest Overlay would go beyond the current ordinance by protecting overall neighborhood tree canopies. However, he admitted Neighborhood Forest Overlay is voluntary and will not guarantee the long term preservation of trees. "Preservation depends on the will of the individuals to preserve trees. When another person owns the tree, that new person has right to their property. What this ordinance does do is place an additional step in the process of the elected property before permits or tree removal authorization will be given." The proposed ordinance is supported by longtime Dallas-area arborist and urban forest advocate Steve Houser, who says the overlay can be thought of as a sort of homeowners association that’s focused on preserving the greenery of a neighborhood for current and future property owners. If passed, the NFO would complement the city’s tree and landscape ordinance known as Article X, which was an incentive-based set of policies that both tree advocates and developers felt they could live with. Article X has teeth when it comes to saving trees but applies only to properties of two acres or more. 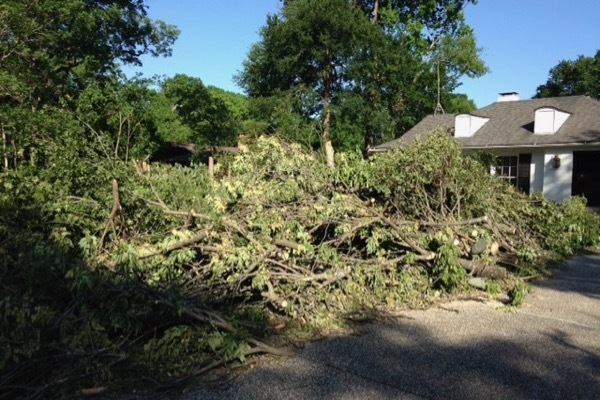 Most of Dallas’ mature trees sit on homeowner’s property of less than one acre. Houser says unless the NFO idea is implemented, huge portions of the city’s urban forests in areas like Oak Cliff could be felled by the whim of people who don’t even live in the neighborhoods they’re affecting. Houser says the NFO proposal addresses another concern among homeowners who either wish to sell their homes or face passing away and leaving their estate behind. They often want to ensure that the trees they’ve spent years tending - which purify the air, provide nesting habitat for songbirds, and altogether create a beautiful landscape for neighboring properties - won’t be felled by whoever comes next. The NFO would allow for deed restricting the property so that the future owners must abide by the NFO policies of the neighborhood as well. "The new owner will still be able to remove trees but now the process becomes more strenuous," said Erwin. “If an NFO is proposed in an area, citizens can vote for or lobby against its establishment. Rather than being another government regulation, it is simply a tool which provides citizens a voice in the future of their neighborhood’s urban forest, should they choose to do so. City staff will provide a petition, hold public meetings, and provide support for the process,” Houser says. For questions regarding tree protection under the current Dallas law, contact Phil Erwin at philip.erwin@dallascityhall.com.